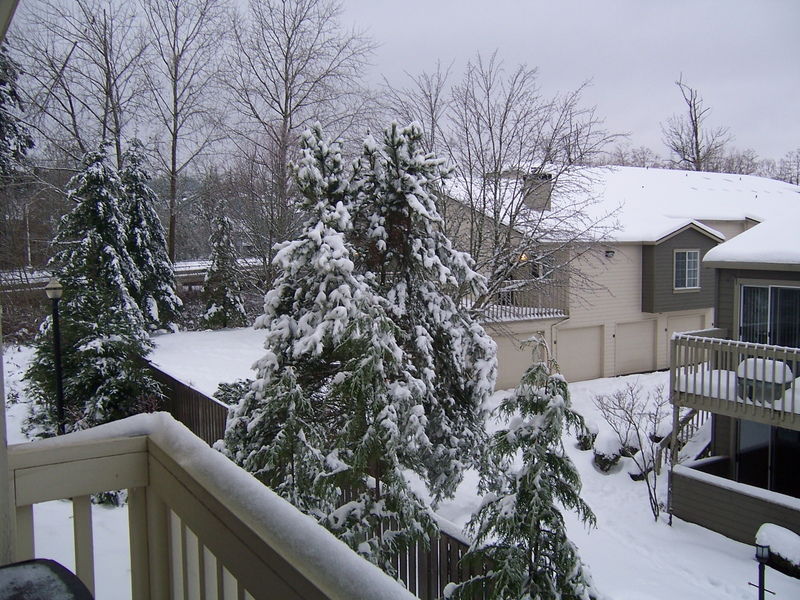 Excuse me, but “What the hell happened here in the Pacific Northwest?” Two weekends ago it was practically balmy. So warm and sunny that I actually got a bit of a sunburn on one of our weekend treks. I guess I was hoping I lived in San Diego and our glorious weather would last forever. Apparently not the case as the cruel hand of winter swept in last week and now here I sit – warm woolie socks, slippers, my favorite cords, not one but two sweaters and a scarf. This morning when I went off to Starbucks, it was still dark and I had on my winter coat and my GLOVES. I didn’t want to risk hat hair all day, so I let my ears fend for themselves. Pretty soon we’ll have to actually turn on the heat. I’m cheap…so we’re holding off until we can actually see our breath when we’re sitting in our recliners watching TV. I think that day is coming – maybe Friday. No, it’s NOT snowing yet in Oregon. Really, I’m not sure I can take change that comes so fast. Is it advancing years? I’m wondering if a few people didn’t actually get whiplash it all changed so fast. And, I feel the cold. In my bones. In my arthritic fingers actually. That’s new and I’m not totally thrilled about it either. I used to look forward to winter – at least for a while. Snowy days. Driving up the mountain to take the kids skiing and snowboarding. Putting on the chains. Not being able to get the chains off. It was all part of the FUN. I’m a Canadian. I know cold and snow. Apparently I lost my cold tolerance when I finally lost my accent. Just thinking about being cold makes me a wee bit cranky. I finally understand why old people move to Florida or Arizona for the winter. Old bones need heat. I won’t be going south for the winter this year so I guess it’s time to do some serious attitude adjusting. Is that covered under Obamacare? I think cranky qualifies as a pre-existing condition. Better yet, maybe I’ll start with hot chocolate + a shot of something warm and sunny in it. I feel better already. Now this is my idea of a great winter day. 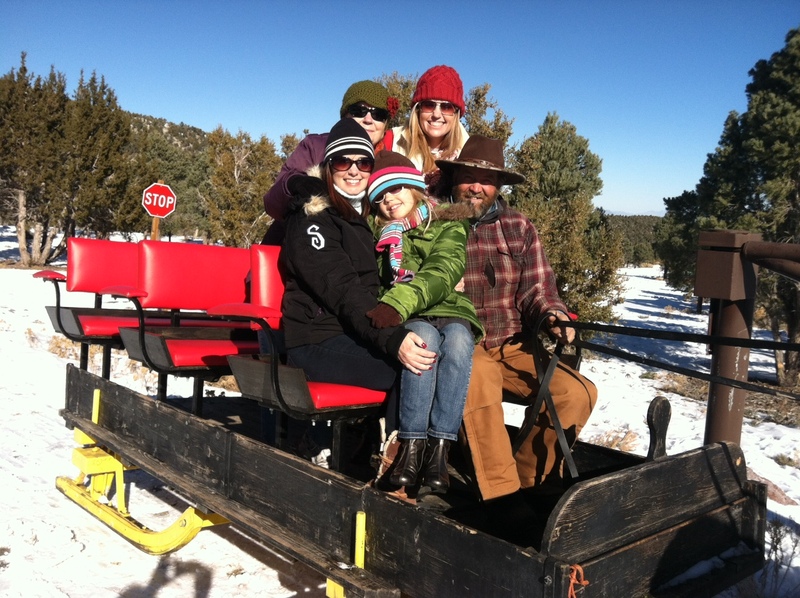 Sleigh ride with my girls on Mt. Charleston near Las Vegas.